Stuck for something to buy your mum this Mother's Day on Sunday May 8, 2016? Have you run out of ideas for flowers, perfume and chocolates this year? Maybe she'd enjoy spending some quality time with you with a visit to the movies. As luck would have it, there may be the perfect film for you. 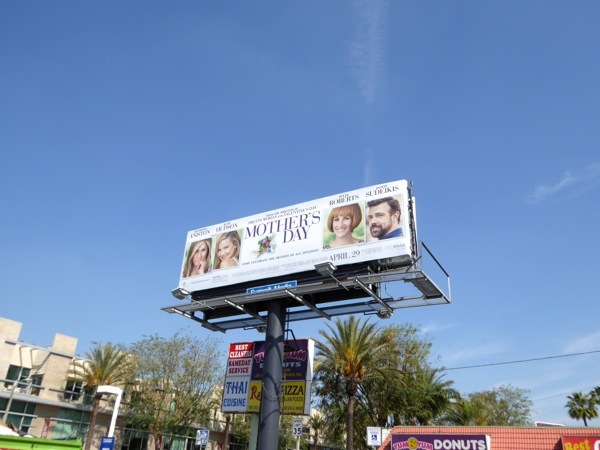 In the new comedy Mother's Day, a group of seemingly unconnected people see their lives intertwined by their relationships with their mothers, or by the fact that they're a mother themselves. 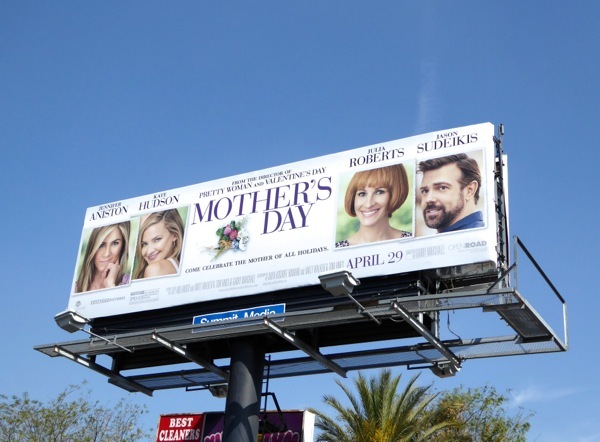 Divorce, adoption, weddings, failing marriages, motherhood, it sounds like the perfect cinema visit, right? 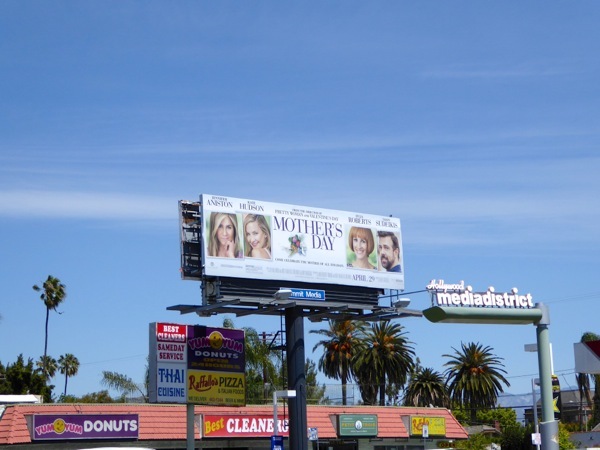 This billboard with its slightly pedestrian design of headshots was snapped at the busy intersection of Melrose and Highland Avenues on April 12, 2016. 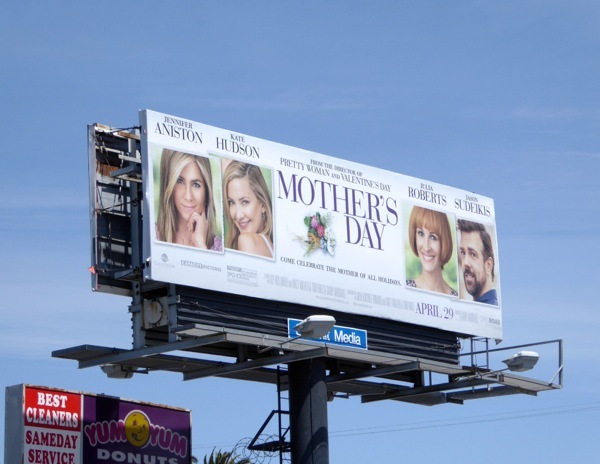 And even though the billboard design may not be the best, the film is directed by Garry Marshall of Pretty Woman, The Princess Diaries and Valentine's Day fame, so you know you're in for a feel-good time.